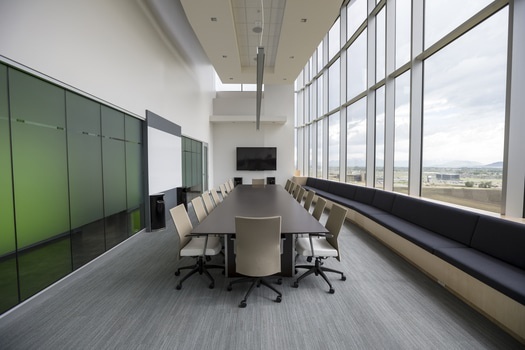 According to JLL’s latest research, the U.S. office market is poised to take on significantly more office flex space in the coming year. Flexible space inventory (including coworking space, incubators and other short-term space options) has grown at an annual rate of 23 percent since 2010. In 2018, flexible space accounted for nearly two-thirds of the country’s office market occupancy gains. JLL predicts it will comprise approximately a third of the market by 2030, compared to less than 5 percent today. 10. Los Angeles (Westside) – Hollywood’s “showbiz” opens the curtain for flex: The Westside continues to benefit from large-scale growth in its traditional industries such as media and entertainment, as well as digital content creation and production–industries that involve significant use of freelance creative talent and project work. Both established hubs (Santa Monica, Century City) and emerging submarkets (Playa Vista, Hollywood) are attracting a range of tenants and, in turn, flex space providers. 7. Washington, D.C. – The vote is in – nonprofits and political advocacy groups cast “yea” on flex space: Although Washington, D.C.’s traditional legal services and government tenants largely avoid coworking spaces, nonprofits and political advocacy groups have been strong adopters of flex space. A growing base of technology tenants and a sizable network of freelancers have led to numerous flex space options around the Green Line micro-markets of Gallery Place, Dupont Circle, Logan, Shaw and the Ballpark. 6. Northern Virginia – Virginia is for lovers, and for tech, small and veteran-owned businesses that are driving flex demand: Although its flex office stock is limited, Northern Virginia is primed for flex space growth because of its large technology workforce, headquarters expansion activity in National Landing, and projected increases in federal procurement spending. Government contractors–including small and veteran-owned businesses–are likely to boost demand for incubators and other flex space formats that bring subcontractors together. 5. Boston – Flex is heading to Boston to exploit its low inventory and strong fundamentals: Among gateway markets, Boston has a surprisingly slim development pipeline even as life sciences, tech and professional services users continue to consume space in new buildings. With just over 2.7 million square feet of coworking space, Boston has less inventory dedicated to flex space than any other U.S. gateway city, suggesting a strong runway ahead. 3. Silicon Valley – Technology consolidations and startups wire this region for flex: Despite technology industry consolidation and a wave of new offices, sustained real estate investor-fueled growth continues to translate into demand for space–including flex space. One indicator of this demand was a technology giant’s 456,760-square foot lease through a flexible space operator in June 2018. square feet lease of flex space in the Valley. In addition, venture-funded startups continue to proliferate and seek short-term options to limit their long-term lease liabilities. 2. San Francisco – Limited space options for tenants open the gate to flex gold: Just as it is home to technology innovation, San Francisco is an innovator in flex space. The fast-changing technology sector, combined with a historically tight office market, has created an ideal environment for coworking and incubator-style flex space offerings. With just over 2.7 million square feet of flex space, the city ranks sixth among U.S. markets, suggesting strong growth potential ahead. 1. New York – Like Frank Sinatra, freelancers and small businesses want to be a part of it, making “New York, New York” the preeminent flex destination: Although it’s already home to the largest flex space inventory in the country with 16.1 million square feet, New York is expected to grow its lead. The city boasts the nation’s highest concentration of freelancers and small businesses, which makes it the world’s leading entrepreneurial economy. Access to capital is a fundamental driver of flex sector growth, as leading investors and landlords continue to create owner-operator flex space models with many of them designed for the Big Apple.